China has spoken, and it really, really likes Peyton Reed‘s Ant-Man and the Wasp. In case you were blissfully unaware of the staggered release schedule implemented by the madmen at Disney and Marvel, Paul Rudd and Evangeline Lilly‘s superhero sequel only just released in China this past weekend after debuting in North America on July 6, 2018. Hence, the relatively underwhelming worldwide box office numbers calculated a few weeks ago have now been turbocharged, resulting in Ant-Man becoming Giant-Man in the Marvel Cinematic Universe’s box office pantheon of movie success stories. 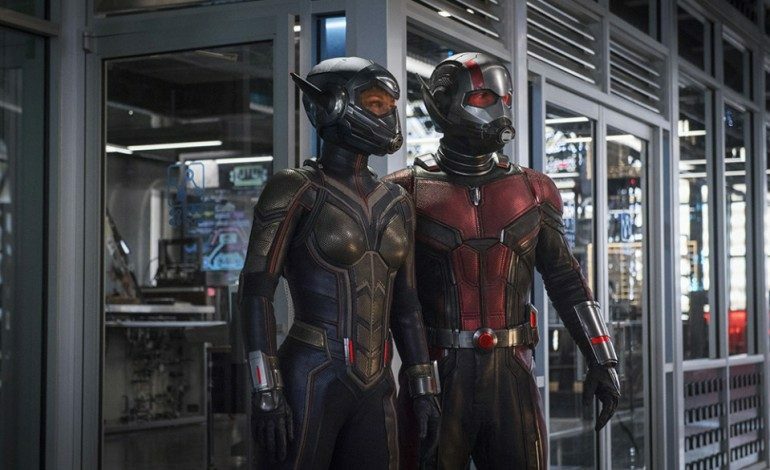 As of today, Ant-Man and the Wasp has tallied $77.4 million over four days in Chinese theaters. Its three-day total (Friday – Sunday) stands at $68.2 million, making it the fourth-biggest comic book superhero movie opening weekend in China’s box office history. As noted by Forbes, it barely beats out Spider-Man: Homecoming (in Chinese currency), falling short of Avengers: Age of Ultron ($86 million), Captain America: Civil War ($97 million), and Avengers: Infinity War ($200 million). Worldwide, that puts the Ant-Man sequel at $553 million, beating out the original film’s $519 million box office total. Ant-Man and the Wasp still hasn’t opened in Japan, which I’d guess will add another $15 – 20 million to its overall gross when all is said and done. Domestically, the film earned $215 million, more than enough to cover the Marvel Cinematic Universe’s smallest hero’s $165 million production costs. Looking at Spider-Man: Homecoming, which ended its run in China with $116 million, you can expect another $40 million or so from Ant-Man and the Wasp in China, unless word of mouth carries it to an even higher echelon of box office success. That’s quite a victory for one of Marvel’s smaller, more lighthearted superhero franchises, joining the heaviest hitters in China in terms of solo MCU movies. For worldwide box office totals, Ant-Man and the Wasp will likely end up crossing $600 million, placing it #15 out of the 20 MCU films. Considering Marvel’s insanely consistent (and profitable) Cinematic Universe flicks, even placing that high is a big win for the little guy (and gal).